When it comes to creating secure passwords, the issue doesn’t necessarily lie in the fact that we aren’t capable of making it difficult for those looking over our shoulders. By now, it should be clear that even the most intricately-crafted password is ultimately crackable. Words are simple to hack, and that’s a fact. Regardless of how many additional characters and numbers we add, the password system we have relied upon for over a decade has become outdated and is often easily exploited. While many of us would enjoy living in our own science-fiction-esque world where retinal scanners would become the norm for identification, Facelock would prefer their technology not to be so involved. 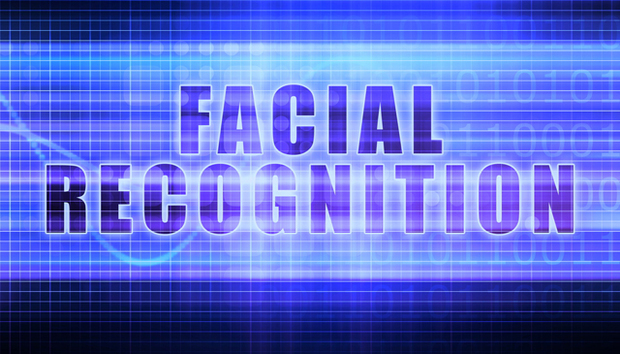 Rather than rely on the use of cameras to record your face (and prove beyond a shadow of a doubt that you are the one attempting to access your bank account), Facelock technology actually relies upon psychological research to determine whether or not you can recognize a face displayed on your screen. The idea behind Facelock is not that something can recognize you, but that users and prying eyes can’t recognize every face that they see. You would choose a set of faces that are well-known to you, but perhaps are not well-known to others. These faces would be placed in a grid and you would be forced to pick out the recognizable face. Those who do not know the faces you chose will have difficulty picking the right one, while you will be able to easily make the right choice. Researchers suggest that familiarity with faces is almost impossible to lose, so if you know what someone in a picture looks like, you’ll be able to pick their face out of a grid quite quickly and easily. Conversely, if someone who doesn’t know you or the faces that you are familiar with attempts to access your information, they will be forced to pick out a face from a set of strangers that they are unfamiliar with. Even if you choose someone relatively famous for your set of faces, malicious users would find it difficult to pick the right famous identity when given a choice of many familiar faces. They may know who the person in the picture is, but they won’t know which one you chose for your Facelock protection. So far, there is only one app on the marketplace that even comes close to performing the task put forth by the concept of this new technology. Passfaces is an app that assigns a group of faces to you and tasks you with picking those faces out of a crowd in order to authenticate your access of personal information. Presumably, Facelock would be different because it would allow users to pick faces they were already familiar with, which would make it immediately easier for them to remember their “password” while still making it difficult for others to crack through their security. This wouldn’t be the first time that one app outdid another. Needless to say, the creation of new forms of authentication and protection is definitely a good thing. Although Facelock doesn’t quite have the same appeal of James Bond technology, it is pretty interesting nonetheless. However strange it may seem, concepts like these could soon find their way into our everyday lives, and we should probably be thankful. After all, scientists may have just found a way to eliminate the need to remember a ridiculous password and strengthen the security of our information at the same time. Here’s hoping that Facelock becomes the next big thing in data security. Megan Ritter is an online journalist, social media manager, and tech enthusiast. Her writing covers everything from global business communications to reputation management to developing technology. Follow her on Pinterest to find more cool technology!